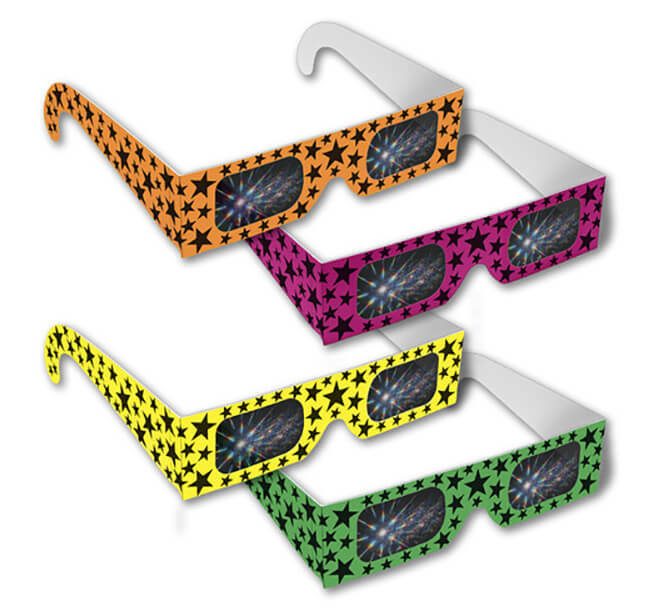 Lazer Viewers - 3D Fireworks Glasses — Rainbow Symphony, Inc.
Lazer Viewers™ - Fireworks Glasses® - Specially Treated Holographic Diffraction Grating Lenses Break Light into Spectacular Rainbow Starbursts. Lazer Viewers™ - Fireworks Glasses® - Specially Treated Holographic Diffraction Grating Lenses Break Light into Spectacular Rainbow Starbursts. Lazer Viewers™ - 3D Fireworks Glasses® are an exciting addition to fireworks displays, laser light shows and holiday celebrations everywhere. Millions of people around the world have been dazzled by Fireworks Glasses® and the amazing effects that bring fireworks and the rainbow spectrum excitingly alive. Lazer Viewers "Buy The Case" Special! !